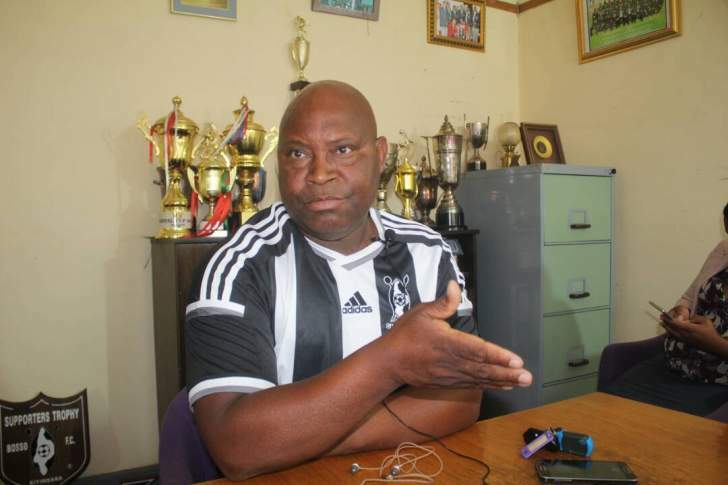 HIGHLANDERS' head coach Madinda Ndlovu, who is set to retire from active dugout duties in two years' time, has indicated that he prefers that Bosso replace him with one of their ex-players to maintain the institution's culture and identity. Ndlovu is on a three-year contract at Bosso and intends to retire from coaching at the end of his tenure. He told the media that his wish was for a Highlanders son, someone who understands the values of the club, to take over from him. "Let's look at the concept of the club; we want to preserve our club by any standards. If you look at big clubs like Real Madrid, Barcelona and so forth, if you would have tried to pick a coach from somewhere, he rarely lasts because he won't be in sync with the values of the club. So basically what we are trying to say is we will need to continue with this vision," said Ndlovu. "So it is better done and understood with those with the background of the club; who know what it stands for, as long as they have the requisite qualifications as demanded by the authorities." Ndlovu, however, said if the club had better resources and brings in a coach from the first world, that would also be acceptable. "If the club can bring in coaching greats like (Luis) Enrique, then well so be it; the sons of Highlanders will then coach in the lower leagues because we can't compete with such minds, but the philosophy is what we want to drive through and that can be achieved by having our own son," said Ndlovu. Meanwhile, Highlanders' vice-captain Gabriel Nyoni has committed to ending his career at the Bulawayo giants and revealed that he was even prepared to extend his contract by 10 years if given that option. Nyoni's contract with Bosso runs out at the end of the year. "My contract ends on December 31, but I'm still interested in playing for the club. In fact, I can even extend my contract for 10 years if offered that option," he said.